Our Kids Social would like to invite you to their Manc Bank Holiday Social 30th April in Sale Masonic Hall – they have offered a ticket for a family of 4. 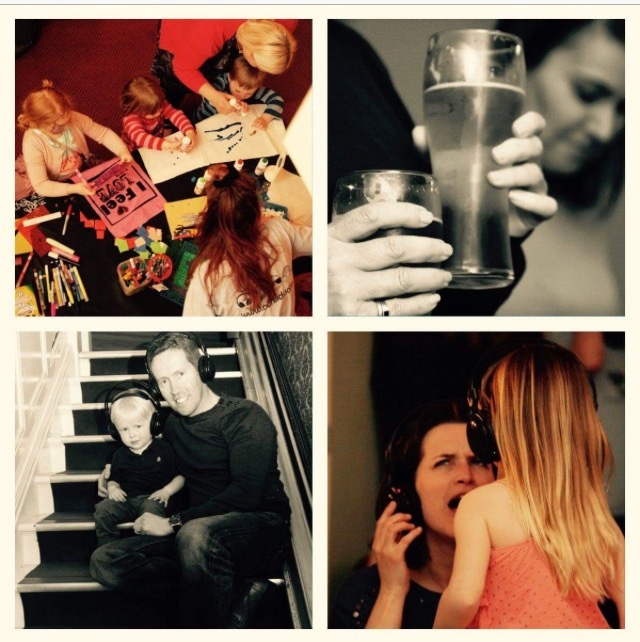 OKS put on fantastic family events across Manchester – silent disco, vinyl revival, story telling, dance, arts and crafts, groovy baby, face painting and always a BAR! Made on the Sofa delicious cake bakers will be at the Manc Bank Social and you can pick up 4 delicious cup cakes from them there! Guaranteed to put a smile on your tummy! BurbleBaby are giving away a huge £20 gift voucher which can be used a time their online store – it has so many beautiful goodies, I don’t know how you will decide what’ve to buy. Here are just a few of may favourite things…. Wonderful Adventure Babies want to take you and your baby on a sensory journey with story telling and exploration through play. Find out more about them here. The superb coaches at Female Fitness Academy are putting up for grabs an 8 week home training plan. An excellent support to improve your health and wellbeing. Female Fitness Academy celebrates strong women – join them. Beauty Bee Salon are offering you a wonderfully relaxing massage – with bespoke treatments for all, this guarantees the pick me up you need. Who wouldn’t love this kind of relaxation – I know I would! Look them up here. The wonderully talented Mini Sparks are giving you a free session which could be for two siblings to attend or two friends – it’s up to you. With play and creativity at their core, we know you will all have fun. Check them out here. Mini 1st Aid provide sessions across Manchester for parents, grandparents and parents to be. Take Gemma up on her offer of a free 2 hour session to ensure you know how to respond to your little one’s needs. If you want to find out more about the selection of courses on offer – check Gemma out here. Kati, a doula at Birth You In Love is offering Mums to be a 1hr hypnobirthing empowerment session – she provides accessible holistic antenatal education making gentle births a reality for everyone! Daisy Imprints have generously offered a £20 gift voucher for our lucky winner. Daisy Imprints specialises in beautiful solid silver fingerprint, handprint, footprint and animal print charms, jewellery, cufflinks and gifts. Our winner will also be able to use £10 voucher at Yoga with Jai to put towards a Lushtums 2hr or 4hr pre or post natal mixed Hathaway yoga session. A chance to relax, unwind and breathe. Tropic with Kate has given us the promise of a luxurious facial, cleansing pebble and 10% discount off first order. The face polish is my absolute favourite but all of the products are gorgeous on your skin. The Crafty Vintage up at Brockholes is offering a free ticket for a family of 4 to their Spring on the Lake event 25th March. Crafty Vintage are purveyors of classic vintage, collectibles, retro wares, quirky handmade, fine foods and delectable cuisine. Live music, entertainers, magicians and lots of merriment ensures a wonderful weekend with something for all the family to enjoy. The incredibly crafty One Mama One Shed is giving the winner one of her much sought after Mama fuel teaspoons. One Mama One Shed has a variety of beautifully handcrafted pieces worth checking out as gifts for others or a treat for yourself. The fabulously eclectic Oklahoma in the Northern Quarter is giving you a £15 gift card to buy whatever you want – and we demand that you spend it all on yourself in this treasure chest of goodies. Oklahoma is Manchester’s favourite gift shop with fun quirky gifts, jewellery, homeware, cards and more. Create and Play offer professional party entertainment for children aged 3-11. They are giving our winner an hour of their time for face-painting. This could be a prize to share with the family or to keep all to yourself! Oh Me Oh Mama present the ultimate collection of custom gift boxes for all new, expecting and breastfeeding mamas. They are made for Mamas by Mamas! They are giving you one of their most coveted goodies – the boobie badge! Hearts and Flowers vintage goodness are giving our winner a £10 voucher to purchase some of the stunning word art they make. Gifts are all handmade with love. What will you choose? It will be a difficult decision with so many beautiful pieces. Fiona Meakin Illustration specialises in personalised art, greetings cards and character designs. They are offering a small personalised mounted illustration – what a perfect prize! Nature-Nurture Sling library are offering our lucky winner the chance to have a mini consultation and a loan of one of their beautiful slings completely for free – an opportunity not to be missed, try for size and find one that suits you. Finally – Bean and Brush family cafe and art studio have given us a £10 gift card to spend on an art activity of your choice. This is an ideal opportunity for you to spend some time as a family – or to escape for some ‘me’ time with a friend. Check out what’s on offer here – a dab afternoon out! To win, you have to like all of these FB page plus mine – Not Just Rita’s Mother (find me here) and comment on the post on my page that yo have entered. Feel free to tag in others, and share! ← Roll up! The circus is in town!